How does it work and do you need it? Sat-nav uses a combination of satellites and mapping software to determine the car's position and plan the best route to a chosen destination. It uses satellites to guide you to a destination if you don’t know where you’re going. Simply input a postcode or even coordinates and it’ll plot a route to get there. Some systems will let you put in part of an address (such as a road or a town centre) or speak through the voice control system to input a destination. Most will then give you the option to choose between the fastest route (journey time), the shortest route (in miles) and an economical route. The guidance is then spoken to the driver through the car’s speakers, while on-screen directions are shown on the car’s infotainment screen and/or instrument cluster. Some cars fitted with a head-up display show the directions on this, too. 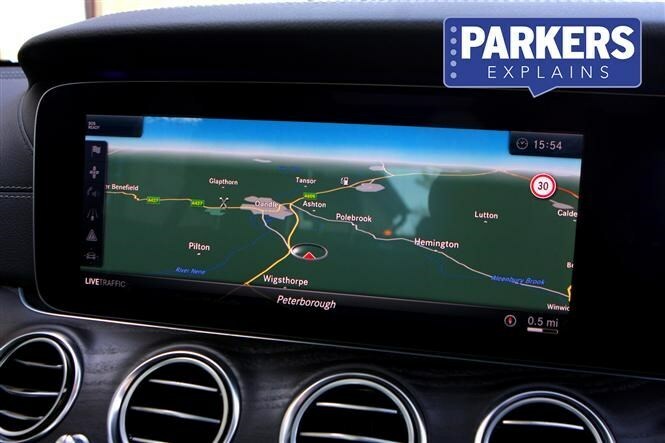 You can also search for points of interest either on the route or at a destination, while some cars with more advanced systems can even connect you to a central call centre or concierge to ask for directions that can then be beamed into the sat-nav remotely. Examples of this include BMW’s Connected Services and Vauxhall’s OnStar system. Some sat-navs are based on third party systems, for example Renault uses TomTom and Mercedes-Benz uses Garmin for some of its models. If you’ve got a poor sense of direction or spend a lot of time on the road, it can be very handy indeed. Specifying sat-nav from the options list of a new car can be very expensive, but it’s a desirable piece of equipment for used buyers, so it could bolster the value of your car further down the line. Everything from a Ford Fiesta and Nissan Qashqai to a Bentley Bentayga. Sat-nav is becoming more and more common as a standard piece of equipment, but is widely available as an option too. Bear in mind an aftermarket standalone unit could be a lot cheaper than an integrated one from the options list, though.